Power Edge Hawaii proudly offers several different lines of upgrade parts including Systema, First Factory, Hurricane, G&G, Classic Army, Guarder, and G&P. We are also an authorized Systema Dealer in the United States. Systema and First Factory parts are available at Japanese MSRP without having to pay for shipping. Internal and cosmetic upgrades are also available. We have our own in-house staff of trained and experienced Technician staff available to do your repairs and upgrades. Labor charges are based on hourly rates at $20.00 an hour w/ a minimum of one hour. 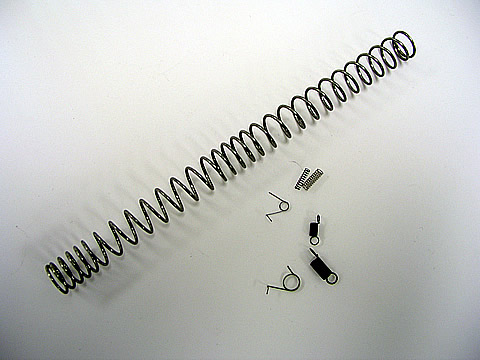 Special upgrade parts packages are available for your savings. These packages do not include labor charges in case you decide to install them yourself or if you want, we can install them for you. Players may also take advantage of the ever popular POWER EDGE UPGRADE. This performance upgrade is for the player that wants to push their AEG's to it's limits! Repair services do have a $15.00 diagnostic fee as well as the hourly labor charge. Call us at (808) 737 3343 for more details!